Yggdrasil Launches Beauty and the beast! What are the game feature of Beauty and the Beast? 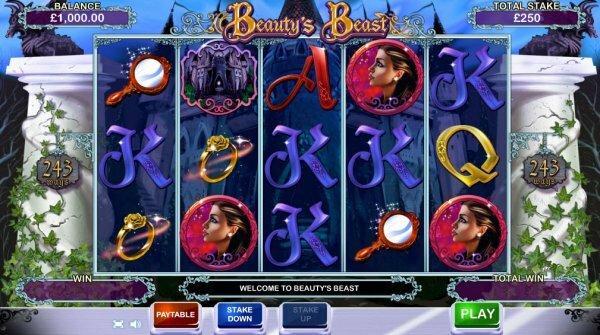 Beauty and the Beast is a 20 paylines video slot which can be played for as little as 20p per spin up to £100. This new game does have some similarities with Nirvana another great game launched by Yggdrasil in October 2016. Beauty and the beast and Nirvana games offer Free Spins, Re-Spins, Random Wilds, Nudge Reels and Synced Reels. The maximum amount players can win in this new game is a lot more impressive then Nirvana and stands at 100,000 coins. Where can you play Beauty and the Beast? Yggdrasil games can be players at LeoVegas, SlotsMillion and Rizk Casino. We’ve negotiated exclusive welcome bonuses for our players with these trusted brands which can be found under the bonus section of this website. So, if you fancy trying out something new why not heading over to any of the casino listed above and claim your welcome bonus.